SILVER CLOUD III COACHBUILT. Rolls-Royce Silver Cloud III Coachbuilt B series (CSC1B - CSC141B). Rolls-Royce Silver Cloud III Coachbuilt C series (LCSC1C - LCSC83C). SILVER CLOUD III SALOON. Rolls-Royce Silver Cloud III K series (LSKP1 - LSKP423). 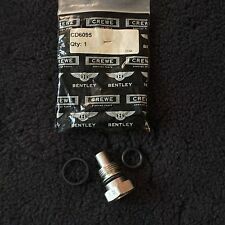 Rolls-Royce Bentley Silver Shadow II 1978-80 Steering Pump Union to High Pressure Hose CD6095 NOS OEM. PART NUMBER: UG4454. Lug nuts are in fantastic condition and ready to be used. SILVER SPUR. Rolls-Royce Silver Spur II (SCAZN00AXLCH31520 - SCAZN02D5MCX34086). Rolls-Royce Silver Spur II (SCAZN02A1MCX34088 - SCAZN02D6MCX34114). PART NUMBER: UG4455. Lug nuts are in fantastic condition and ready to be used. SILVER SPUR. Rolls-Royce Silver Spur (SCAZN11C2TCX57001 - #). Rolls-Royce Silver Spur III (SCAZN02D6RCX54001 - SCAZN02C5SCX55749). Mirror is in great great condition and ready to be used. Make sure you provide the VIN# so we can get the right information to you! Sun Visors are in fantastic condition with little to no wear and ready to use. Make sure you provide the VIN# so we can get the right information to you! Power Steering Oil Carrier Reservoir Tank Bottle 32416776242 Oem Rolls Royce Dawn Ghost Wraith Rr4 Rr5 Rr6 2016. 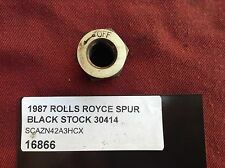 To see all ROLLS ROYCE parts that we have in Inventory. This Part is from a 16 ROLLS ROYCE. Make sure you provide the VIN# so we can get the right information to you! Bracket is in great condition and ready to be used. Make sure you provide the VIN# so we can get the right information to you! The solenoids and wiring harnesses are included as shown. The mounting bracket is not included. This is a used original BMW part. For cars equipped with Dynamic Drive (BMW Option Code: S229A) OR Adaptive Drive (S2VAA). 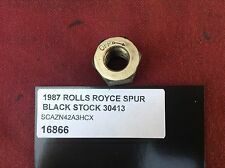 To see all ROLLS ROYCE parts that we have in Inventory. 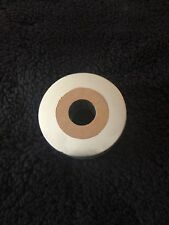 This Part is from a 16 ROLLS ROYCE. Model: 16 ROLLS ROYCE. VIN of Donor Vehicle: SCA666D5XGU102031. Happy viewing! Cap is in great condition and ready to be used. Make sure you provide the VIN# so we can get the right information to you! Sun Visors clip set right and left with and without electrical connector. Make sure you provide the VIN# so we can get the right information to you! Part #: 222820. This way we can make sure it gets to the right place. We aren't all about big policies, so we try to keep things simple. We're working to build a state-of-the-art, online auto repair resource complete with the parts, people and information you need to stay in motion. Part #: 222820. You need to MOUSE OVER the left column to read the complete text. Part #: 975 26002 381. You need to MOUSE OVER the left column to read the complete text. Part #: 222820. WARRANTYWarranty Duration: 1 Year. Part Number: 222820. Warranty Duration:1 Year. Should fit Rolls Royce Ghost Dawn Wraith 2010 2011 2012 2013 2014. GM-style Vega Steering Box Mounting Bracket muscle rat hot rod truck Chevy Jeep Make installation a snap Crate Concepts Automotive Parts brackets are made from the highest quality of steel and CNC machined for a perfect fit ever time. Each bracket is engineered to handle todays harshest race environments allowing for maximum performance. Detailed instructions deliver a smooth installation even for the "weekend" mechanic.